The Redbirds and AutoZone Park have the honor of hosting the 2019 Triple-A National Championship Game, presented by Ephesus Sports Lighting. The game pits the winner of the Pacific Coast League against the winner of the International League in a one-game, winner-take-all showdown for Triple-A supremacy. Catch the Redbirds on Their Next Homestand! Helicopter Candy Drop after the Easter Game! Spend Easter at AutoZone Park on Sunday, April 21, and all kids who stick around after the game can participate in an on-field candy drop from a helicopter! There is also a specialty ticket option that includes pregame catch on the field and a brunch in the Home Plate Club! 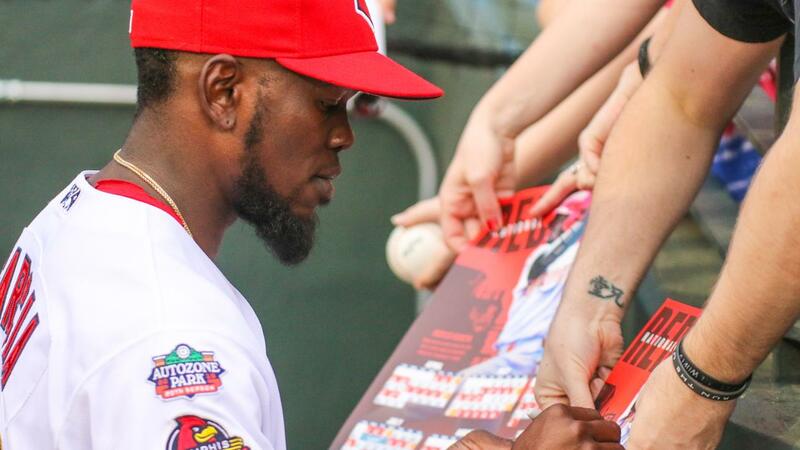 Sign Up for the Redbirds E-Newsletter! Enjoy exclusive content, special offers, coupons, and more when you sign up for the Redbirds E-Newsletter! Plus, be the first to know when exciting news breaks and premium tickets go on sale! Don't miss a minute of the action at AutoZone Park!